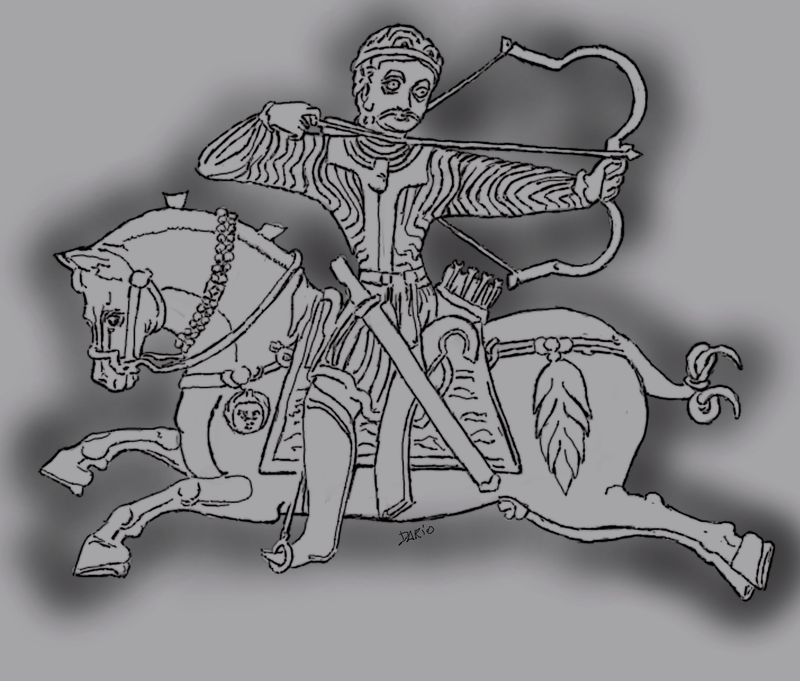 I am always interested in all things pre-Islamic and early Islamic greater Persia, this time I want to share with you a link to an article titled 'Sasanian traditions in Sogdian paintings: hunting and fighting scenes' by Geri Della Rocca de Candal, available for reading or download at academia.edu (or a link via this interesting Facebook page titled Eran ud Turan ). Sogdiana or Transoxiana or Turan was the land of Silk Road traders, horse breeders, artists and sometime warriors living in the shadow of the great empires of Persia and China and roamed by the Saka and later Turks/Turkuts, until conquered by the Arabs during the VIII century AD (and known since then as Ma warāʾ al-nahr). 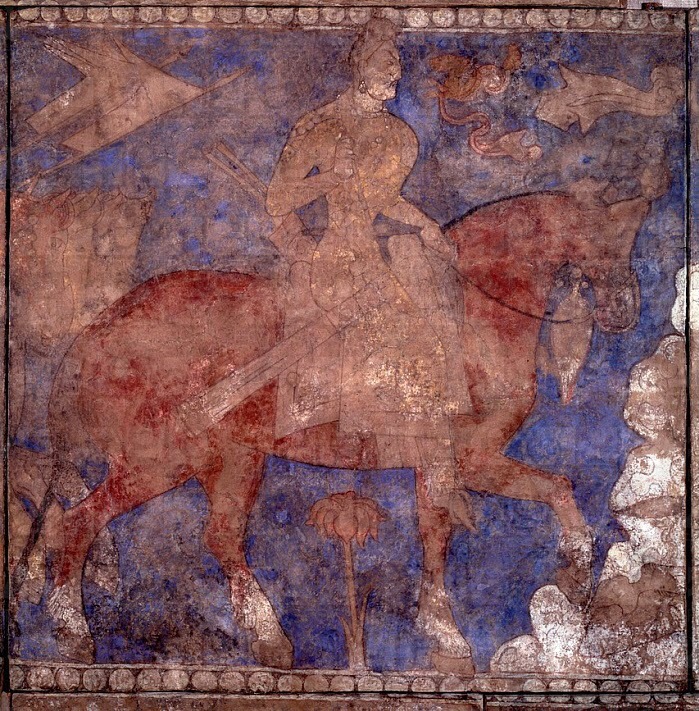 Introduction to the Sogdian art via iranica.com. Last days of Panjikent - article - and if you curious more about the last ruler of that Sogdian city and his famous palace at Mugh Mount. From my own stable :) I drawn this image from a metal plate of Pur-i Vahman, it represents my newest attempt at copying this image. For our interest his stallion's bridle includes the dropped-cavesson (metal noseband) plus bit arrangement, horse's tail tied like a swallow's one, then a cropped and cranetallated mane, and clearly depicted stirrups in more or less steppe and Korean fashion. Horse tack is still adorned with Persian elements (horse tail and a phalera), reflecting Sassanian and Saka traditions. Dr David Nicolle talks about this plate in his other book - Armies of the Islamic Conquest (Osprey Publishing, page 42).